So I went to town this morning and bought groceries. I was going to go tomorrow but I got called in to work. I’m still trying to figure out why I said yes. I have so many things I need to get done. So I have not had a great eating day but it’s not a failed one completely. I had a plain fish sandwich and 1/2 a small fry for lunch. So it’s not the ideal diet but it didn’t ruin my eating. The only thing else I have had is a Larabar (Pecan Pie) flavor. Now I was a big skeptic on these. 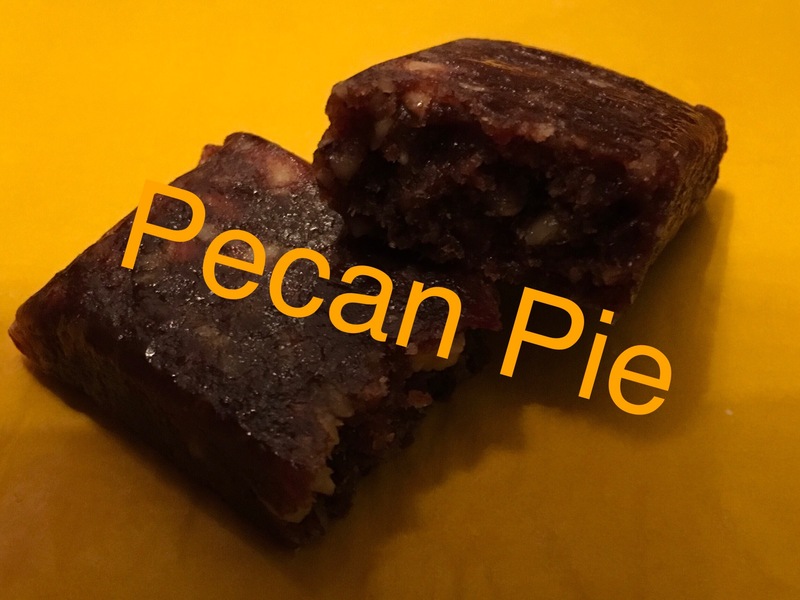 I love pecan pie so I thought I would try it. It was pretty good! I was very impressed. I wish I bought more because they were on sale. Maybe they will be on sale again and I will get to try another flavor. I mean it wasn’t like a homemade pie but it kinda reminded me of those individual little pies with less sugar. I have 99 active minutes from walking and my fitboard. I think I’m going to have to get one more minute before bed. I have almost 13,000 steps in. So I may have had McDonald’s for lunch but this day is still a good diet day when you look at it as a whole.